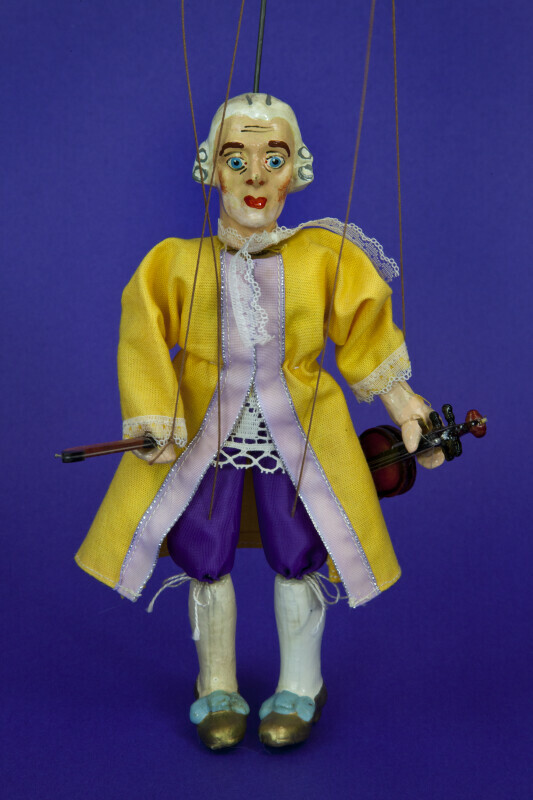 The Mozart doll/marionette is constructed with a wooden body. His hands and head are composite. His violin is made from wood and he is wearing a long yellow silk coat, lace shirt, knee breeches, stockings and buckled shoes. This figure stands 8 inches (20 cm) tall.